Does high turnover or low engagement keep you up at night? In healthcare, and especially for those of us in rural healthcare, recruitment and retention are vital to the success of our organizations. Once we’ve gone through the lengthy and deliberate process of recruiting and selecting the right employees, how do we ensure that we retain them? We need to think about the first impressions we make on each new employee. Ask yourself: At our organization, when do we begin the re-recruitment process? The right answer is before the employee shows up for her first day of work. Why? Other organizations are likely interested in hiring her, too. How can we ensure we start off on the right foot with new employees? The following simple, two-step communication plan can help to immediately re-recruit new team members and make them feel welcome. The first step in the communication plan is for the CEO to send a welcome postcard. Mail the postcard right after the employee officially accepts the position. It should be handwritten and signed by the CEO. When the new hire receives it, it will build excitement and reaffirm her decision to work in your organization. The CEO’s time investment will be less than five minutes. Worth it! To keep the momentum going, the new employee’s immediate leader should call the new employee the day before she starts. On the call, let her know you and the team are excited for her arrival. Highlight first day events. Anticipate questions she may have -- parking, lunch, dress code, etc. Then, let her ask additional burning questions to alleviate any anxiety. Close with a statement that reinforces the team’s excitement to welcome their new team member. Leader time investment will be less than five minutes. Again, worth it! These two new employee re-recruitment practices require a total of 10 minutes. What an easy, yet impactful, time investment! Take the time to start re-recruiting your new employees on the very first day. You’ll proactively increase their engagement and ensure their retention. And to top it all off, you’ll sleep better knowing that the team members you so carefully recruited will stick around for the long haul. 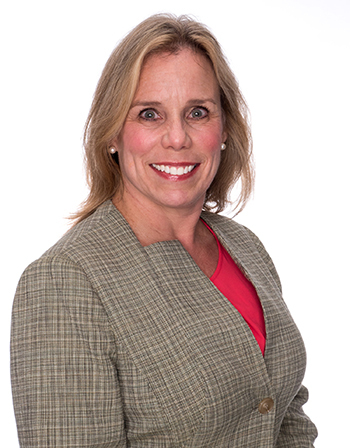 Cara Dake is a Studer Group coach and practicing physical therapist with over 25 years of healthcare experience. Cara’s passion is helping healthcare organizations achieve high reliability.